Back to school shopping is starting! Giant Tiger has a new Back to school contest! 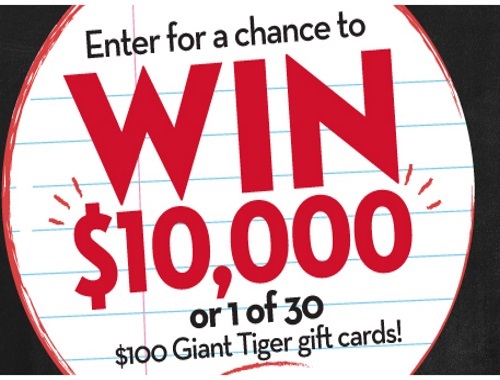 Enter to win $10,000 or 1 of 30 $100 Giant Tiger gift cards! Contest closes September 5, 2017.